So if you post pictures in a thread of dead Palestinian babies from bombs in Gaza, these are the punks who start yelling "Pallywood!" - pretending they are Americans. The Prime Minister's office has also purchased promoted tweets for selected posts to increase their visibility...“The whole point of such efforts is to look like they are unofficial, just everyday people chatting online,” Dena Shunra, a Hebrew-English translator, told The Electronic Intifada, an online news site. There it is. The US gives money to the Israeli government, and the Israeli government in turn uses some of it to propagandize Americans, by pretending they are just "everyday people" chatting online. So right there they are lying to you from the git go. A computer lab staffed by students in an Israeli university is playing a key role in the war of information in the Gaza conflict. Inspired by the role of social media during the Arab Spring and boosted by the support of the Israeli government and Israel Defence Force, student volunteers at the Interdisciplinary Center (IDC) Herzliya, a private university north of Tel Aviv, are waging their own propaganda war countering online anti-Israeli sentiment. Israel's Advocacy Room where volunteer students work social media channels "to explain" Israel's side of the story. Staffed by approximately 400 student volunteers the project which goes by the name “Israel Under Fire”, claims to have succeeded in closing anti-Israeli pages on Facebook and challenging propaganda from Hamas, the organisation that governs the Gaza Strip and whose military arm is firing rockets at Israel. According to Igal Raich, a 23-year-old IDC student who volunteers in what is called "The Advocacy Room", the project aims to counter what is perceived as a false representation of Israel in international and social media through Facebook, Twitter and YouTube. Volunteer groups include a team that translates messages from Hebrew into 30 languages and a graphics team creating charts and images to be distributed via Facebook and Twitter. There is also a video editing department and a talkback team that, according to Raich, trawls social media “looking for inconsistent facts like ‘Israel constantly kills women and children’”. Raich said students played a similar role during 2012’s Pillar of Defence operation – another Israeli military action against Hamas in Gaza. According to the university's figures, 1600 students volunteered to spread social media messages to an audience of 21 million people in 62 countries and in 31 languages. The Prime Minister’s office, the Minister of Foreign Affairs, and the Defence Force considered the university’s efforts so successful they sought to collaborate during subsequent military actions. Like missiles targeting both Gaza and Israel, the online battle is two-way traffic. As well as the student campaign, Israel’s IDF also runs social media accounts promoting Israeli perspectives. A Palestinian point of view is represented in social media accounts run by the al-Qassam Brigades, the military arm of Hamas. Tweets from the al-Qassam Brigades include graphic images of dead or injured children and videos showing rockets being prepared for launch, presumably at Israel. At the other end of the spectrum, Twitter accounts from civilians in Gaza detail the lives of scared teenagers counting Israeli bombs falling in residential areas and the effects of sleepless nights due to the sound of overhead drones. Critics of the Israeli social media campaign suggest that, like many things on the internet, it is difficult to discern truth and are sceptical of the authenticity of pro-Israeli posts that appear to be organic but are government propaganda. “The whole point of such efforts is to look like they are unofficial, just everyday people chatting online,” Dena Shunra, a Hebrew-English translator, told The Electronic Intifada, an online news site. it was only a matter of time. Born-man "women" with tree-trunk thighs taking all the medals from women. The American bronze medalist who lost a world-championship cycling race to a transgender woman from Canada has criticized the results as unfair. "First transgender woman world champion...ever," Rachel McKinnon, an assistant professor of philosophy at the College of Charleston in South Carolina, bragged Sunday in a tweet that set off a massive debate. Texas already has a law. bipartisan group of lawmakers, led by Senators Ben Cardin (D-MD) and Rob Portman (R-OH), is quietly working to criminalize the boycotting of Israel. The bill, appropriately titled the Israel Anti-Boycott Act, establishes criminal and civil penalties of up to $1 million for American persons and companies who engage in actions “which have the effect of furthering or supporting . . . restrictive trade practices or boycotts fostered or imposed by any international governmental organization against Israel.” While it’s unclear how strictly the act would be enforced, it is clearly a gross infringement on free speech — targeting Americans who choose to exercise their First Amendment rights and engage in an organized boycott. The Senate measure was conceived after the United Nations Human Rights Council voted in 2016 to create a “blacklist” of companies that do business in Israeli settlements in the West Bank and East Jerusalem. Building on a 1979 law designed to counteract the Arab League’s boycott of Israel, the Cardin-Portman legislation would extend the existing prohibition to cover boycotts against Israel called for by international organizations like the United Nations and the European Union. The legislation, which currently enjoys the support of fifty senators, both Democrats and Republicans, faces uncertain prospects in the new Congress, where Democrats will control the House and new members, like Rashida Tlaib (D-MI) and Ilhan Omar (D-MN), have publicly endorsed the Boycott, Divestment, Sanctions movement (BDS). Senators like Bernie Sanders and, more surprisingly, Dianne Feinstein have also pushed back against the Cardin-Portman bill, and a lawsuit filed by Bahia Amawi — a Palestinian-American who recently lost her job at a Texas elementary school for refusing to sign a “pro-Israel loyalty oath” — has provided additional ammunition. But whether the bill passes or not, it is part of an ominous trend to curb Palestinian grassroots activism and silence political speech critical of Israel. “Since 2014,” the advocacy group Palestine Legal reports, “at least 102 anti-BDS measures have been introduced in state/local legislatures across the country. As of November 2018, 26 states have enacted anti-BDS laws.” The law that ensnared Amawi mandated that she promise that she wouldn’t boycott or “otherwise tak[e] any action that is intended to inflict economic harm” on Israel. Boycotting goods is a longstanding American tradition. The American Colonists refused to buy imported British manufacturers to protest excessive taxes. Abolitionists and antislavery activists swore off slave labor–produced products in favor of “free goods.” The New York Manumission Society organized boycotts against New York merchants and newspaper owners involved in the slave trade. The tradition carried over into the twentieth century. In March 1933, the Jewish War Veterans of America staged a mass rally in New York City, where congressman William W. Cohen told those gathered that “any Jew buying one penny’s worth of merchandise made in Germany is a traitor to his people.” Civil rights activists staged boycotts of segregated buses and streetcars in the South in the middle of the century. Antiwar activists boycotted US defense contractors during the Vietnam War and published detailed lists of military contracts held by GE and other companies. The anti-apartheid movement refused to purchase South African wines and oranges, declined to compete with all-white Olympics teams, and shamed US businesses that profited from the racist system. The fundamental principle guiding these activists was that boycotting goods to protest injustice was not only a civil right, but also a civic duty. Today, Americans acting in solidarity with Palestinians are doing the same thing: boycotting goods from Israeli settlements to pressure the country to end its decades-long occupation and expansionist policies. Rooting themselves in previous struggles, boycotters compare Israel’s oppressive policies to those of apartheid South Africa. Many cite Israel’s separation barrier, which runs deep into Palestinian lands, displacing Palestinian communities and cutting off their towns and villages from one another. Others point to Israel’s two-tiered system in the West Bank, which provides preferential treatment to Israeli settlers while imposing harsh restrictions on Palestinians. American advocates for Palestinian rights also draw inspiration from the legacy of the Civil Rights Movement. Ahed Tamimi, the West Bank teenager who was jailed for defying occupation and shoving a heavily armed Israeli soldier, has been hailed as “the Palestinian Rosa Parks.” Bahia Amawi is now competing for a similar title. Like their American counterparts, Palestinian activists see nonviolent resistance, including the use of boycotts, as the best path to justice and freedom. The idea is not to “single out Israel for punishment,” as Israel’s advocates insist, but to remind them that occupation and segregation and apartheid bear a price. Americans have a civil right to boycott Israel, both as a matter of conscience and as means of pressuring it to change its unjust policies. It’s a right both enshrined in the constitution and rooted in the country’s dissident political tradition. To deny this right is to threaten to turn the clock back to the days of McCarthyite repression. Major establishment pro-Israel organizations have mobilized to target Sen. Paul for reportedly using his Senate privilege to block foreign aid funds to Israel. Over at the Washington Free Beacon, Adam Kredo reports that the America-Israel Public Affairs Committee (AIPAC) and Christians United for Israel (CUFI) are running ads attacking Sen. Paul for this decision to hold up aid funds. The Kentucky senator later clarified his position on holding back aid to Israel. “I’m not for foreign aid in general, if we are going to send aid to Israel it should be limited in time and scope so we aren’t doing it forever, and it should be paid for by cutting the aid to people who hate Israel and America. This is a stance I’ve taken for many years,” Sen. Paul said in a statement that is going to be released shortly, according to Jewish Insider. While foreign aid can acquire soft power influence for U.S. interests, that has not been the rationale, nor the purpose, for U.S. aid abroad in the 21st century. For example, Pakistan, Iraq, and Afghanistan receive around $11 billion dollars in combined U.S. aid every year, yet the aid dollars have largely failed to improve America’s standing — or increase goodwill — with those countries. The United States sends just under $4 billion to Israel every year for defense aid. Unlike the foreign aid dollars doled out to other countries, virtually every cent has to be used on defense products from American companies, creating a major incentive for U.S. defense giants to support their guaranteed revenue stream. Rand Paul’s Senate measure touches on a heated debate over whether U.S. aid to Israel is a force for good, is simply unnecessary, or is a negative force for the U.S.-Israel bond. One thing is for sure: The annual aid package is not at all the black-and-white issue that some are making it out to be. In the pro-Israel world, most pro-Israel groups remain staunchly committed to defense aid to Israel. AIPAC, the pro-Israel behemoth (which has frustrated conservatives due to its soft handling of the Obama administration’s anti-Israel policies), has dedicated most of its resources to securing aid for Israel. However, plenty of prominent scholars and organizations have argued that the aid package should be immediately or eventually reduced. Conservative Review’s Daniel Horowitz, along with your humble correspondent, believes that the aid package creates an unhealthy dependency. It sets up Israel as if it operates in serfdom, instead of the U.S. and Israel together advancing our thriving, mutually beneficial alliance on equal terms. Additionally, the aid package creates leverage for anti-Israel administrations such as the Obama administration to force Israel into making major, dangerous concessions to the Palestinian entities in the terrorist group Hamas and the terrorist-sponsoring Palestinian Liberation Organization. Israel is continuing on a healthy trajectory towards becoming an economic, technological, and military powerhouse. With every day that passes, Israel’s need for U.S. aid — other than in the event that a major war breaks out between Israel and one of its terrorist neighbors, or Iran or Syria — continues to decrease. Israel’s full independence from American aid dollars will allow the Jewish state to flourish and further expand its independence in defense and other industries. It will also allow Israel the space it needs to make decisions that preserve its national interests, while sustaining and improving the mutually beneficial relationship with its closest ally. The Trump Zone - Pro / Is Trump the Most Pro-Gay Republican? Unz Magazine, a respectable intellectual journal. Glad the article didn't miss mention of the USS Liberty. There has been a report that Special Counsel Robert Mueller is looking into foreign lobbying in Washington while another story relates how his team is investigating the alleged contact of a Donald Trump associate with a Hungarian. Both are part of the ongoing investigation into Russiagate. Unless I am wrong, which happens occasionally, Hungary is a member of the European Union and also of the North Atlantic Treaty Organization (NATO). It has relatively free elections and its government changes as a result. No one but the Mueller commission has considered contact with a Hungarian citizen to be a potential threat to American democracy. But then again, no one has really made the case in any kind of credible fashion that meeting with a Russian is either ipso facto criminal or treasonous, or that Moscow’s media does anything beyond what other state-owned broadcasters tend to do, but you wouldn’t know that from reading the mainstream press or from watching MSNBC and CNN. An independent observer might well note that there is more than a whiff of hypocrisy in all of this. Case in point, the latest globalist-interventionist-neocon think tank the Alliance to Secure Democracy is currently being funded by a bundle of foreign governments, presumably doing so without any interference from Mueller or from those who run the Foreign Agents Registration desk at the Department of the Treasury. And one other thing you can bet on is that Mueller will not be looking at the country that actually does interfere in American politics most, which is our best friend in the whole world and greatest ally Israel, the beneficiary of roughly one billion dollars-worth of lobbying carried out by hundreds of full time staff on its behalf. Punish Israel for corrupting our politicians and media? On the contrary, now that we are officially into the holiday season, a whole bunch of goodies designed to make Benjamin Netanyahu’s eyes sparkle are pending. The highest priority item is the Trump Administration’s cooperation with the Israeli government in a frantic effort to bury a United Nations report that includes a database of all the companies that operate in Israel’s illegal settlements. Also regarding the U.N., Congress is considering a bill that would block U.S. aid to any country that opposes “the position of the United States.” Lest there be any confusion, Ambassador Nikki Haley has made it clear the American “position” would pretty much consist of never criticizing or voting against Israel. 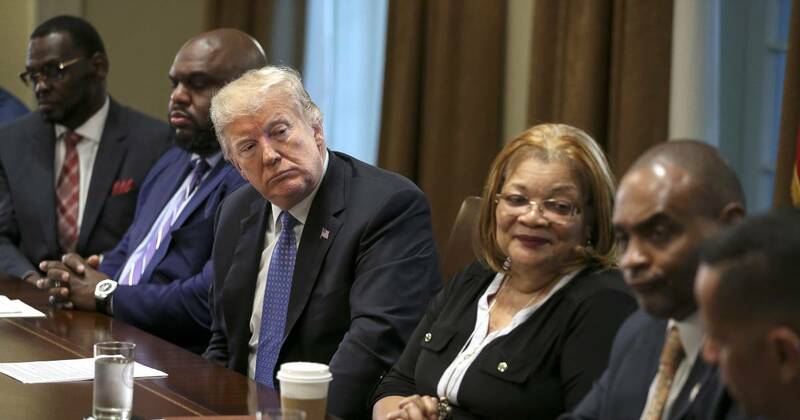 The proposed amendment to the Civil Rights Act would use language being considered for the still pending Anti-Semitism Awareness Act to considerably expand the currently accepted government acceptance of anti-Semitism as “demonization” of Israel and/or its policies. A broader definition would have real world consequences as it would potentially block federal funding for colleges and universities where students are allowed to organize events critical of Israel. Fortunately, the hearing did not produce the result desired by Israel. To their credit, four of the witnesses, all Jewish, opposed expanding the definition of anti-Semitism and even some congressmen uncharacteristically indicated that to do so might be a bridge to far. Israel has been uniquely successful at imposing its will over Congress and the White House. Every freshman class in Congress, plus spouses, is automatically whisked off for a deluxe all expenses paid propaganda trip to Israel, which is funded by an affiliate of the American Israel Political Action Committee (AIPAC). That is supplemented frequently throughout the year through taxpayer funded CODELS by established politicians to find out the “facts” on what is going on in the Middle East. During congressional recesses Congressmen are sometimes more likely to be found visiting Israel than dealing with problems in their own districts and they routinely return spouting whatever line is being promoted by the Israeli government. Politics and Current Events >> Start Your Own Topic Here! / Who has worked in a post office? Can stamps not be cancelled, as the pipe bombs? Stamps are cancelled for a single very good reason. So people can't cut out pristine stamps, take a little glue, and use them over and over again. Every time the USPS does not cancel a stamp, it gives up money. This, at an agency which cries poverty and posts losses every year, in the billions, despite billions in subsidies. There are estimates of up to 80 percent of packages delivered through the mail are delivered without cancellations. some packages were not postmarked because the soft packaging could not go through the postal machines. Yet the postal experts admitted that when a package would not fit through an machine, which would be an awful lot of packages and the most profitable because they need the most postage, it was the job of the handler to scratch a line through the stamps by hand with a black magic marker. 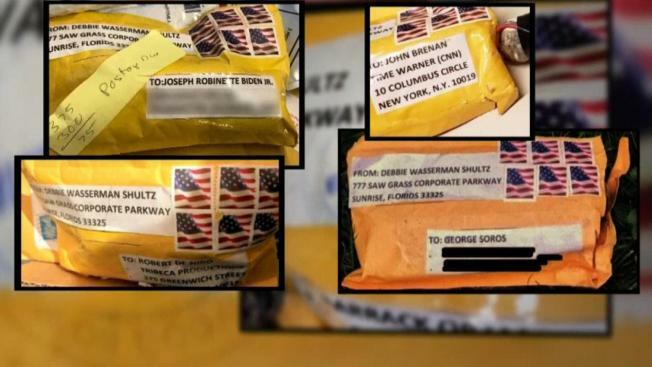 Mainstream media started suggesting that maybe some of the packages were delivered by courier. But if delivered by courier, why would they need stamps? The media used words like "filth" and "despicable" toward Trump supporters speculating that all was not exactly as the government's story said, a lone nut with brand new Trump stickers all over his van did it. So what gives, people who work or have worked at a Post Office? Doesn't anyone spot check if workers are drawing a line through the stamps, and could this be why the Post Office is perpetually, forever broke and asking for a hand-out? Or is this "debunk" bunk? Selling stamps and postage is the whole way the PO makes money. Now suddenly here are multiple packages in a row, same thing. Politics and Current Events >> Start Your Own Topic Here! / Re: Is it a foreign invasion? Or a bunch of dirt poor refugees? Politics and Current Events >> Start Your Own Topic Here! / Re: 4 false flag attacks by government that really happened. Why not the pipe bombs? check this out, free speech is "despicable!" "DESPICABLE!" FROM FAKE NEWS ITSELF CNN! Politics and Current Events >> Start Your Own Topic Here! / Is it a foreign invasion? Or a bunch of dirt poor refugees? Ok we do need to control our borders. But how about we stop stopping their revolutions, so they don't have to come up here in the first place?